During a recent visit to Rwanda, I learnt from three projects how the country is on a pathway to low-carbon development, building a socially resilient community of young people, and financing a green economy. In Rwagamana, Eastern Rwanda, I visited the $24Million, 8.5MW solar field, the first utility-scale, grid-connected, commercial solar field in East Africa that has increased Rwanda’s energy generation capacity by 5% and is avoiding 8,000 tons of CO2 per annum. This has enabled the country to expand its rural electrification programme, resulting in new direct and indirect jobs and overall improved livelihoods. 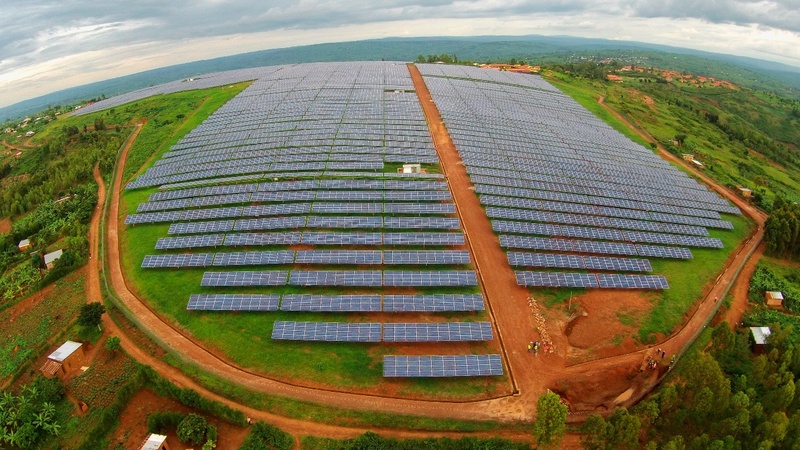 Subsequently, the solar energy makes a significant contribution to Rwanda’s Energy Sector Strategic Plan (ESSP) that sets out to increase the nation’s energy to over 560MW by 2018 meeting 70% of the demand while also avoiding emissions from energy production. The community living in the village is restoring the emotional well-being of the young people and giving them hope for the future. 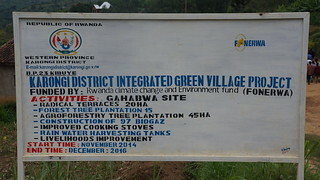 The same intersectionality is enshrined in Rwanda’s Fund for the Environment and Climate Change (FONERWA), a fund created to finance climate resilience and sustainable development in Rwanda. The multi-million dollar and multi-stakeholder fund invests in public and private projects that align with Rwanda’s commitment to economic growth while increasing resilience and mitigating climate change. Already the Fund is benefitting thousands of Rwandans, and aims by 2020 to mobilize international and domestic capital commitments of $500M, create 50,000 green jobs, while avoiding 10,000 tons of CO2 emissions. One of the projects funded through FONERWA finances rooftop rainwater harvesting in Eastern Province, supplying clean water to rural households while also mitigating flooding and related water-borne diseases. In Southern Province, a $2.8 million project is being implemented to protect the Akanyaru Watershed, through terracing and tree planting that reduce soil erosion and landslides, thus increasing climate resilience. The thousands of people employed by this project are facilitated to form cooperatives through which they can purchase livestock, biogas, health insurance, and start small rural enterprises. The project has in turn resulted in 5,000 of hectares planted with trees, and 300M3 of community water harvesting tanks, 4,000 terraces developed as well as the indirect benefits of environmental restoration. Mitigating climate change, building resilience, and improving livelihoods are the immediate solutions we can observe from these three projects. However, importantly, the underlying success of the solar field, the youth village, and the Green Fund is observed in the strong partnerships developed between the different stakeholders involved. The initiatives are all reliant on strong public private partnerships locally, nationally and internationally from the point of inception to implementation and evaluation of the projects.